First Listen: Morrissey, 'World Peace Is None Of Your Business' "The rhythm of life goes round," the singer repeats, summing up a set ranging from politics to gang violence to gender identity. He's in fine voice, belting and going gentle without strain. Morrissey's new album, World Peace Is None Of Your Business, comes out July 15. The rhetorical essence of punk is the decision to say what others believe should not be said. It points out the "no" lurking within or near every "yes." It demands an ongoing reckoning with true outsiders, and with what remains wrong in society despite everyone's best efforts, simply because people and the structures they make are flawed. By this definition — more philosophical than musical — Steven Patrick Morrissey is the greatest punk rocker ever to spit in a queen's eye. Morrissey would likely be horrified that a critic would call him a punk at 55 (or at any age, really); his music with The Smiths and throughout his long solo career is so much more melodic and eclectic than what that term often invokes. Yet with his 10th solo album, World Peace is None of Your Business, he reasserts punk's impropriety as the force that makes his music inimitable. World Peace is sweepingly powerful and effortlessly transgressive. Morrissey is in fine mature voice, belting with gusto and going gentle without strain. His touring band provides wide-ranging support in arrangements that incorporate everything from Portuguese fado to lounge-music cool to rock grandiosity. Longtime guitarist Boz Boorer is the anchor; Gustavo Manzur, on keyboards and percussion, is the utility player pushing the sound. Producer Joe Chiccarelli makes it all cohere, giving Morrissey room to emote within the wash of musical elements. The title track of World Peace is a directly political song, an angry shout of empathy for those suffering in hot spots from Egypt to Ukraine. But it also decries the value of protest, or any kind of engagement with the system as it stands. "You poor little fool," he hectors kindly at those who would hold signs or even cast ballots. Pop protest songs usually offer uplift, dwelling in alternate realities. Punk ones like this say: No future, as things stand, for you. This is Morrissey's way — demolition through critique. The Smiths-like "Staircase at the University" depicts the suicide of an academically overpressured student. "The Bullfighter Dies" celebrates human loss in the name of animal rights. "Kick the Bride Down the Aisle" passes (arguably too-cruel) judgment on its female subject within a critique of wedded bliss. The Burt Bacharach-like "I'm Not a Man" lists everything Moz finds execrable about masculinity, ending with a bitter cri de coeur: "I'd never destroy this planet I am on! What'ya think I am, a man?" But wait: To those who say we can transcend such roles, Morrissey offers the sweet heartache of "Earth is the Loneliest Planet," a Latin-flavored lament for someone stuck within gender dysphoria, feeling like a failure as both a woman and a man. 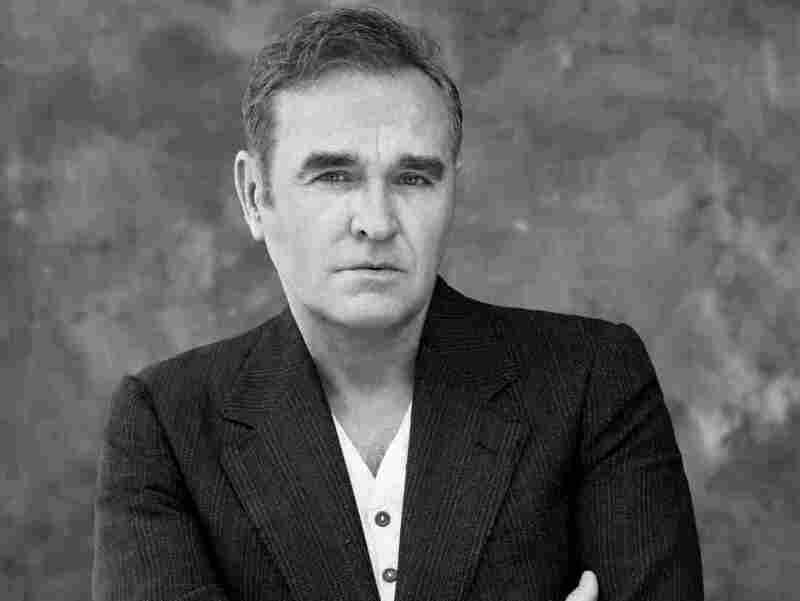 His character sketches prove Morrissey's commitment to real human diversity — not the shiny rainbow kind, but the sort that gives voice to irredeemable misfits, to mean people, to criminals. "Mountjoy" reflects on the history of one of Ireland's best-known prisons from the perspective of an anonymous prisoner who can "only cry when I see the sky." The equally devastating "Istanbul" captures the guilt-ridden voice of a father who has lost his son to gang violence. These portraits, like so many Morrissey has written, stay where it's painful, and in doing so are profoundly compassionate. In middle age, Morrissey may feel the need for some compassion himself. "Oboe Concerto," the album's closing set piece, brilliantly blends pique at the human condition — the oboe in the lyrics (musically represented, eccentrically, by Boorer's clarinet and sax) represents unsettling thoughts, like a hated song "stuck in my head" — with a rueful awareness of mortality brought on by the recent loss of close friends. A feisty drum solo leads not to catharsis, but to Morrissey muttering, for half a minute, "round, round, rhythm of life goes round." He's not affirming anything. He's just being realistic, saying what has to be said.